CodeWeavers Inc has released a major new version of its Wine based CrossOver tool, which is designed to make it possible to run Windows applications and games on both Mac and Linux platforms. 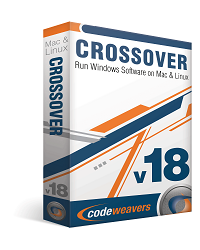 CrossOver Impersonator Edition boasts a brand new CrossTie feature, which enables users to install hundreds of Windows applications with a single click. It also incorporates over 4,500 patches that went into the latest release of Wine (1.3.9), and replaces all previous versions. CrossOver is based on the open-source Wine software which CodeWeavers contributes a massive amount of code to. Wine works by isolating programs in bottles, each complete with its own C drive (including all sub-directories), Windows Registry, Wine settings and of course all the application files. 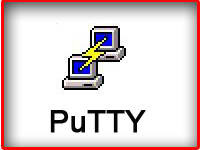 Separate bottles can be created to isolate programs from each other or for setting up different versions of Windows for compatibility purposes. CrossOver Impersonator provides a more user-friendly front end and support, albeit in return for a commercial fee. Previous versions of CrossOver as well as Wine itself require the user to manually configure a bottle and then install the software within that; CrossTie technology now makes it an easy process: after first launching the program will connect to the CrossWeavers application compatibility database and provide a list of supported software. All you need to do is provide the setup file, then the software will do the rest it’ll automatically detect set-up discs and then it’s a case of following the exact same setup wizard as you’d get if installing the program in Windows. There are over 450 applications and games currently supported in the database, including various older versions of major applications like Adobe Photoshop and Microsoft Office. There are three editions of CrossOver Impersonator for both Mac and Linux Platforms: CrossOver Mac/Linux Impersonator Standard and CrossOver Games Impersonator cost $39.95 each, and come with six months’ free updates and support. The third option CrossOver Mac/Linux Impersonator Professional costs $69.95, comes with 12 months updates and higher priority support, and includes a CrossOver Games licence. 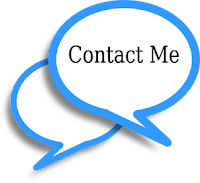 Professional users can also renew for an additional 12 months for a discounted cost ($35) up to 30 days after their licence expires. CrossOver Impersonator requires a Mac with an Intel processor running Mac OS X 10.5 or later, while it will also work on most major Linux distributions, including Ubuntu, Redhat, Fedora and openSUSE.